Douglas Carswell, the independent MP for Clacton, is convinced that Britain’s political and economic systems are rigged. This in itself is scarcely noteworthy. These days just about everybody involved in politics, from the Corbynite left to the Trumpite right, claims to be taking on the establishment. I imagine it’s hard to throw a stone in a major TV or radio studio, though for legal reasons I urge you not to try, without hitting someone claiming to be a radical. 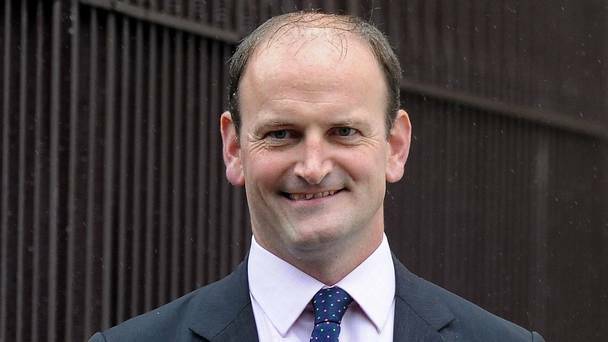 But Carswell’s book reveals him to be different in two crucial regards. Firstly his critique is reassuringly selective. Unlike many ‘radicals’ Carswell’s arguments don’t feel like a howl of rage against the modern world, or human nature itself. On the contrary he’s a firm supporter of modernity and globalisation, and essentially believes both need to be saved from the current global elite. He believes in a liberal order, just not quite the one we’ve got at the moment. Better still Carswell proposes solutions to the problems he identifies. Real solutions that is, not the semi-meaningful sloganeering favoured by so many self-styled radicals. As such I’d recommend this book to anyone who has concerns about our current political and economic systems, regardless of their political affiliation. Carswell argues that our current ‘liberal order’, by which he means the liberal-democratic-capitalist values which form the basis of our civilisations success, faces two distinct threats. Firstly the present elite, in both politics and finance, has come to resemble an oligarchy. Political and economic power has become concentrated within a tiny elite, whose values fail to represent those of the general population. Entry into this oligarchy is becoming increasingly difficult, as much of its wealth is drawn from the increasing value of certain assets (e.g. property), caused by the failure of central banks to control the money supply, rather than innovation or labour. The oligarchy has also managed to break the direct link between taxation and representation, reducing accountability by funding a greater proportion of spending from borrowing and bonds, whilst leaving the bill for some future generation. In business this elite uses overregulation, which they encourage via extensive lobbying operations, to undermine their smaller rivals. The growing wealth and power of this oligarchy has become increasingly self-perpetuating, allowing a small unrepresentative sect, the so called ‘Davos elite’, to hold disproportionate influence within Western public life. According to Carswell the second, equally dangerous, threat to the liberal order comes from the popular reaction to this oligarchy. Rather than rejecting what he sees as the elite’s corruption of liberal values, some people instead turn on liberalism itself. This boosts authoritarian movements of the hard-left and hard-right, from Syriza and Bernie Sanders to the Front National and Donald Trump. These movements, which Carswell describes as ‘New Radicals’, seek to break the oligarchy by interfering with market forces. They variously raise taxes for the rich, increase regulation and turn resentment against foreigners. 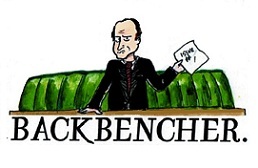 But Carswell argues the ‘New Radicals’ can’t overturn the oligarchical system. True they might destroy the existing elite, but their statism ensures that this will be replaced by a new, and probably more overtly authoritarian, form of oligarchy. And should they fail they will provide the existing elite with the excuse to strengthen their control. If the people vote for the likes of Trump, they will argue, then their influence needs to be diluted. Power should be further centralised. There is a great deal of talk in contemporary politics about the people losing faith in the elite, but what if the real story is the elite losing faith in the people? There are moments in Carswell’s work where it’s possible to see flashes of something close to Marxism. He describes history as ‘a constant conflict between those who produce and those who parasitize and predate’. The key distinction is that whilst Marxists believe the conflict is caused by the oppressive nature of market economics, Carswell argues that it’s the result of those same market economics becoming deformed. He is quite literally attempting to beat the Marxists at their own game. Carswell believes that three conditions are required to allow market exchange to ‘happen unhindered’, without a ‘parasitical’ elite whipping off a layer of cream. These are independence from foreign oppression, the dispersal of power so an internal ‘parasitical’ elite doesn’t emerge and free exchange (interdependence) with neighbouring societies. As examples of such societies Carswell selects the early Roman republic, early medieval Venice and the Dutch Republic of the 17th century. It’s implicit that contemporary Britain, certainly whilst we remain a member of the European Union, doesn’t make the cut. Throughout the book Carswell is clear that the target of his revolution isn’t the overthrow of the ‘liberal order’ or globalisation, but rather its conservation via radical reform. Indeed Carswell is at perhaps his most persuasive when he outlines the achievements of globalisation in recent decades. He outlines in length the improvements in living standards and quality of life which have been achieved, in both developed and developing countries, in the last few decades. On this point he is surely correct. The past few decades have seen hundreds of millions lifted out of poverty, primarily in the developing world, by market economics and free exchange via globalisation. It is surely both one of the greatest, and least remarked upon, economic miracles in human history. No wonder then that the anti-globalisation movement, whether on the left or the right, is predominantly a Western phenomenon. The anti-globalisation protestors of the hard-left, who claim to be motivated by concern for the developing world, are in fact attacking the greatest poverty reducing system so far devised. As noted earlier Carswell doesn’t just critique the current system, he actively suggests remedies. This is reassuring. Any fool can attack the status quo, but those who propose alternatives deserve to be taken more seriously. Firstly Carswell wants to trim the wings of the financial elite, by making it harder for vast debts to be run-up. He wants banks to require the explicit consent of depositors before their money can be loaned to third parties, as well as strengthening the capitalist risk/reward mechanism by making the management of top firms more responsible for any losses. Carswell also argues that individuals should be able to declare ‘independence’ from the state in many respects, meaning they receive their share of resources for many public services which they can then spend independently. 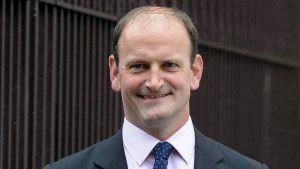 In the political field Carswell advocates weakening the authority of centralised national parties, and empower new ‘pop-up’ parties and local candidates. To do this he wants to see party subsidies, such as short money and free election literature, abolished and two-member Parliamentary constituencies reintroduced to ensure more elections are competitive. Truthfully I don’t agree with all of Carswell’s ideas or analysis. I’m concerned that too fundamental a reform of the liberal-democratic-capitalist order risks undermining it, at a time when this order is both lifting huge numbers of people from poverty and under threat from more authoritarian rival ideologies. But on some of his central point’s Carswell is surely right, and his work is undoubtedly worth reading. It’s clear that the present political class is not fully representative of the population, and in certain areas has developed a dangerous group think which sets it against public opinion. The warning lights that something is wrong, be it Trump’s election in America or the rise of the radical right in Europe, could hardly be brighter. I’m not sure whether Carswell has the correct answers to these issues, but his succinct description of the problem means his suggestions are undoubtedly worth listening to. If you share my concern that there is something fundamentally wrong with the present liberal order, which means it could be overthrown by something much worse, we should surely listen to all the voices that we can. 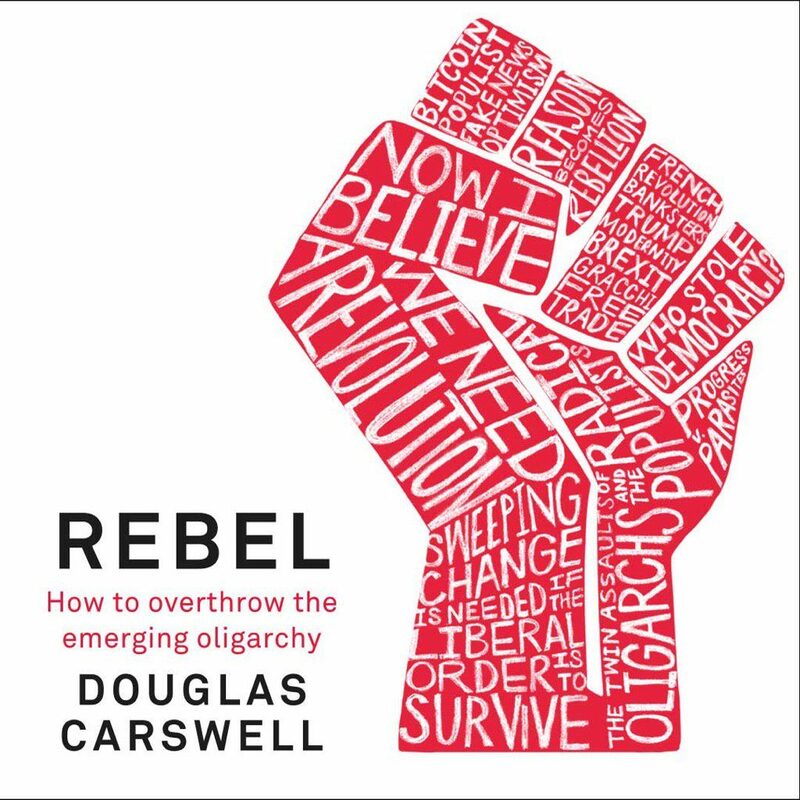 Douglas Carswell’s ‘Rebel: How to Overthrow the Emerging Oligarchy’ can be purchased here from Amazon. It is also available from all good bookshops and, balance of probability, quite a few bad ones as well.